Work or play with 360° of flexibility and the power and connectivity to keep you moving through your day. Keep your life moving forward, no matter where you are, thanks to an elegant, ultra&dash;portable design. Cutting&dash;edge security features let you browse confidently, avoid visual hackers, and monitor and restore in&dash;memory BIOS automatically. Be productive in any situation with Windows 10 Pro8 and powerful security, collaboration, and connectivity features from HP. Suppress background noises, including keyboard clicks. Deter tampering with the RFID&dash;blocking pocket and lockable notebook compartment15 in a stylish backpack. USB Type&dash;C™ and USB-C™ are trademarks of USB Implementers Forum. 4G LTE module is optional, must be configured at the factory and requires activation and separately purchased service contract. Check with service provider for coverage and availability in your area. Connection, upload and download speeds will vary due to network, location, environment, network conditions, and other factors. 4G LTE not available on all products, in all regions. HP Sure View integrated privacy screen is an optional feature and requires optional 700 nit FHD screen that must be configured at purchase and is designed to function in landscape orientation. Based on HP's unique and comprehensive security capabilities at no additional cost and HP Manageability Integration Kit's management of every aspect of a PC including hardware, BIOS and software management using Microsoft System Center Configuration Manager among vendors with >1M unit annual sales as of November 2016 on HP Elite PCs with 7th Gen and higher Intel® Core® Processors, Intel® integrated graphics, and Intel® WLAN. HP Sure Click is available on select HP platforms and supports Microsoft® Internet Explorer, Google Chrome, and Chromium™. Supported attachments include Microsoft Office (Word, Excel, PowerPoint) and PDF files in read only mode. Check http://h20195.www2.hp.com/v2/GetDocument.aspx?docname=4AA7-0922ENW "(PDF,222KB) for all compatible platforms as they become available. 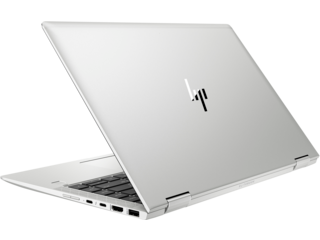 HP Sure Start Gen4 hardware enforced protection is available on the HP EliteBook x360 1030 G3 equipped with Intel® 8th generation processors. 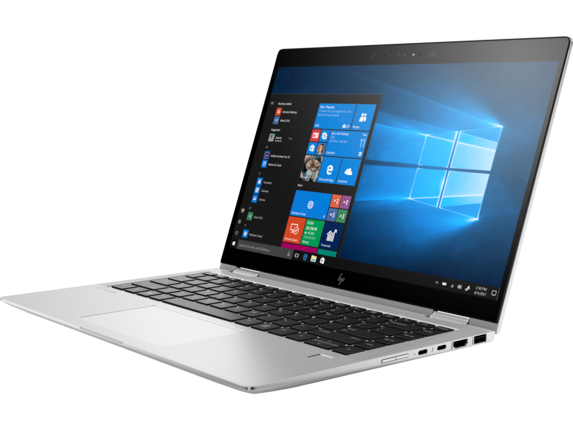 HP Sure Start G3 is available on the HP EliteBook x360 1020 G2 equipped with Intel® 7th generation processors. HP Sure Run is available on HP EliteBook x360 1030 G3, HP EliteBook x360 1040 G4 and Elite products equipped with 8th generation Intel® or AMD® processors. 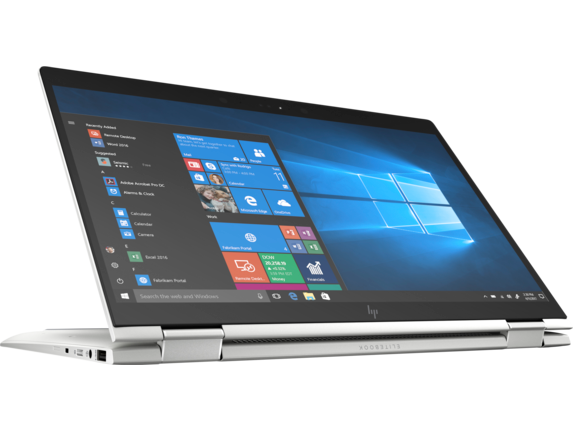 Available on the HP EliteBook x360 1040 and HP EliteBook x360 1030. HP Sure Recover with Embedded Reimaging is an optional feature that must be configured at purchase and is available on select HP Elite PCs. Not available on platforms with multiple internal storage drives or Intel® Optane™. You must back up important files, data, photos, videos, etc. before use to avoid loss of data. HP Multi Factor Authenticate requires 7th or 8th Generation Intel® Core™ processor, Intel® integrated graphics, and Intel® WLAN. Three authentication factors requires an Intel® vPro™ processor. Multi&dash;Core is designed to improve performance of certain software products. Not all customers or software applications will necessarily benefit from use of this technology. Performance and clock frequency will vary depending on application workload and your hardware and software configurations. Intel's numbering, branding and/or naming is not a measurement of higher performance. WWAN module is optional, must be configured at the factory and requires separately purchased service contract. Check with service provider for coverage and availability in your area. Connection speeds will vary due to location, environment, network conditions, and other factors. 4G LTE not available on all products, in all regions. Video over USB&dash;C™ requires a PC with USB&dash;C™ DisplayPort™ Alt mode or Thunderbolt™. Power up to 65 Watts. Refer to Power Output in product QuickSpecs for exact specifications, PC must be compatible with the display's power output. MIL&dash;STD 810G testing is pending and is not intended to demonstrate fitness for U.S. Department of Defense contract requirements or for military use. Test results are not a guarantee of future performance under these test conditions. Accidental damage requires an optional HP Accidental Damage Protection Care Pack. Manageability Integration Kit can be downloaded from http://www.hp.com/go/clientmanagement. 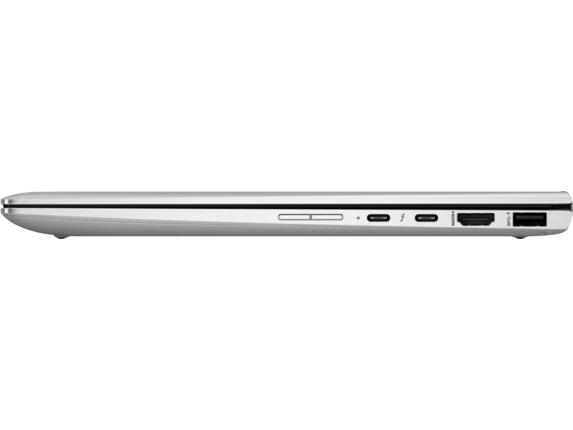 USB&dash;C™ notebooks must be able to support power and video. The compact, ultraslim, amazingly light HP EliteBook x360 1040 now features four use modes to get work done, take notes, share content, and enjoy some downtime. Intel® Turbo Boost performance varies depending on hardware, software and overall system configuration. See www.intel.com/technology/turboboost for more information. HP Sure View integrated privacy screen is an optional feature that must be configured at purchase and functions in landscape orientation. HP PhoneWise Client may not be available with HP Workwise. For supported platforms and HP PhoneWise system requirements see www.hp.com/go/HPPhoneWise. HP Manageability Integration Kit can be downloaded from http://www.hp.com/go/clientmanagement. HP BIOSphere Gen4 features may vary depending on the PC platform and configurations requires 8th Gen Intel® processors. HP Client Security Manager Gen4 requires Windows and Intel® or AMD 8th generation processors. Windows Defender Opt in and internet connection required for updates. Gigabit class 4G LTE module is optional and must be configured at the factory. Module designed for up to 1 Gbps download speeds as carriers deploy 5 carrier aggregation and 100Mhz channel bandwidth, requires activation and separately purchased service contract. Backwards compatible to HSPA 3G technologies. Check with service provider for coverage and availability in your area. Connection, upload and download speeds will vary due to network, location, environment, network conditions, and other factors. 4G LTE not available on all products, in all regions. Gigabit class 4G LTE module planned to be available in Paraguay, US, India, Ukraine and Canada in November 2018 and South Africa in January 2019. Rest of world availability at launch. 1 Not all features are available in all editions or versions of Windows. Systems may require upgraded and/or separately purchased hardware, drivers, software or BIOS update to take full advantage of Windows functionality. Windows 10 is automatically updated, which is always enabled. ISP fees may apply and additional requirements may apply over time for updates. See http://www.windows.com/. 2 Some devices for academic use will automatically be updated to Windows 10 Pro Education with the Windows 10 Anniversary Update. Features vary; see https://aka.ms/ProEducation for Windows 10 Pro Education feature information. 3 Multicore is designed to improve performance of certain software products. Not all customers or software applications will necessarily benefit from use of this technology. Performance and clock frequency will vary depending on application workload and your hardware and software configurations. Intel’s numbering, branding and/or naming is not a measurement of higher performance. 4 Processor speed denotes maximum performance mode; processors will run at lower speeds in battery optimization mode. 5 Intel® Turbo Boost performance varies depending on hardware, software and overall system configuration. See www.intel.com/technology/turboboost for more information. 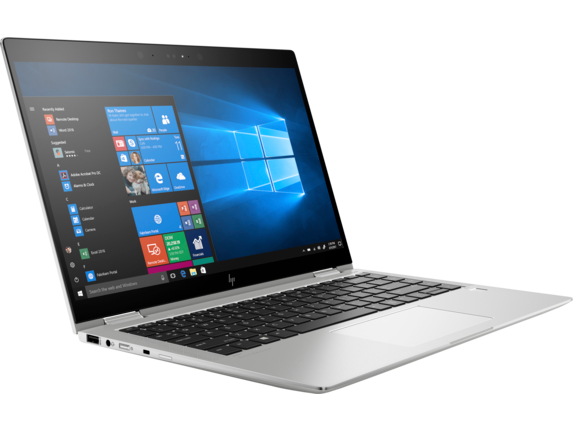 6 NOTE: In accordance with Microsoft’s support policy, HP does not support the Windows 8 or Windows 7 operating system on products configured with Intel and AMD 7th generation and forward processors or provide any Windows 8 or Windows 7 drivers on http://www.support.hp.com. 7 Due to the non-industry standard nature of some third-party memory modules, we recommend HP branded memory to ensure compatibility. If you mix memory speeds, the system will perform at the lower memory speed. 8 For storage drives, GB = 1 billion bytes. TB = 1 trillion bytes. Actual formatted capacity is less. Up to 30 GB (for Windows 10) is reserved for system recovery software. 9 Sold separately or as an optional feature. 10 Wireless access point and Internet service required and sold separately. Availability of public wireless access points limited. The specifications for the 802.11ac WLAN are draft specifications and are not final. If the final specifications differ from the draft specifications, it may affect the ability of the notebook to communicate with other 802.11ac WLAN devices. 11 WWAN module is optional, must be configured at the factory and requires separately purchased service contract. Check with service provider for coverage and availability in your area. Connection speeds will vary due to location, environment, network conditions, and other factors. 4G LTE not available on all products, in all regions. 12 Miracast is a wireless technology your PC can use to project your screen to TVs, projectors, and streaming. 13 HD content required to view HD images. 14 Internet access required. 15 Resolutions are dependent upon monitor capability, and resolution and color depth settings. 16 HP Sure View integrated privacy screen is an optional feature that must be configured at purchase and functions in landscape orientation. 17 Miracast is a wireless technology your PC can use to project your screen to TVs, projectors, and streaming. 18 HP ePrint Driver requires an Internet connection to HP web-enabled printer and HP ePrint account registration (for a list of eligible printers, supported documents and image types and other HP ePrint details, see www.hp.com/go/eprintcenter). Print times and connection speeds may vary. 19 HP Support Assistant requires Windows and Internet access. 20 HP PhoneWise Client may not be available with HP Workwise. For supported platforms and HP PhoneWise system requirements see www.hp.com/go/HPPhoneWise. 21 HP Driver Packs not preinstalled, however available for download at http://www.hp.com/go/clientmanagement. 22 HP Manageability Integration Kit can be downloaded from http://www.hp.com/go/clientmanagement. 23 Ivanti Management Suite subscription required. 24 HP BIOSphere Gen4 features may vary depending on the PC platform and configurations requires 8th Gen Intel® processors. 25 Secure Erase for the methods outlined in the National Institute of Standards and Technology Special Publication 800-88 "Clear" sanitation method. 26 Absolute agent is shipped turned off, and will be activated when customers activate a purchased subscription. Subscriptions can be purchased for terms ranging multiple years. Service is limited, check with Absolute for availability outside the U.S. The Absolute Recovery Guarantee is a limited warranty. Certain conditions apply. For full details visit: http://www.absolute.com/company/legal/agreements/ computrace-agreement. Data Delete is an optional service provided by Absolute Software. If utilized, the Recovery Guarantee is null and void. In order to use the Data Delete service, customers must first sign a Pre-Authorization Agreement and either obtain a PIN or purchase one or more RSA SecurID tokens from Absolute Software. 27 HP Client Security Manager Gen4 requires Windows and Intel® or AMD 8th generation processors. 28 HP Password Manager requires Internet Explorer or Chrome or FireFox. Some websites and applications may not be supported. User may need to enable or allow the add-on / extension in the internet browser. 29 HP Fingerprint Sensor sold separately or as an optional feature. 30 Windows Defender Opt in and internet connection required for updates. 31 Secure Erase for the methods outlined in the National Institute of Standards and Technology Special Publication 800-88 "Clear" sanitation method. 32 RAID configuration is optional and does require a second hard drive. 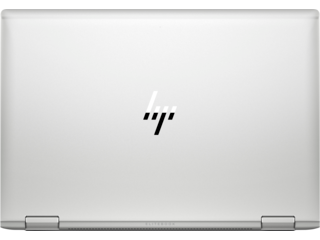 33 HP Sure Click is available on most HP PCs and supports Microsoft® Internet Explorer and Chromium™. Supported attachments include Microsoft Office (Word, Excel, PowerPoint) and PDF files in read only mode, when Microsoft Office or Adobe Acrobat are installed. 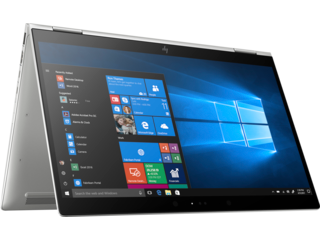 34 HP Sure Start Gen4 is available on HP Elite and HP Pro 600 products equipped with 8th generation Intel® or AMD processors. 35 Battery is internal and not replaceable by customer. Serviceable by warranty. 36 Recharges the battery up to 50% within 30 minutes when the system is off or in standby mode. Power adapter with a minimum capacity of 65 watts is required. After charging has reached 50% capacity, charging will return to normal. Charging time may vary +/-10% due to System tolerance. 37 Availability may vary by country. 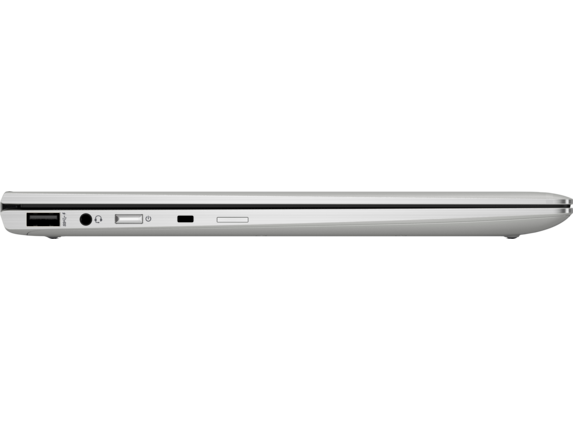 38 Recharges the battery up to 50% within 30 minutes when the system is off or in standby mode. Power adapter with a minimum capacity of 65 watts is required. After charging has reached 50% capacity, charging will return to normal. Charging time may vary +/-10% due to System tolerance. 39 HP Care Packs are sold separately. Service levels and response times for HP Care Packs may vary depending on your geographic location. Service starts on date of hardware purchase. Restrictions and limitations apply. For details, visit www.hp.com/go/cpc. HP services are governed by the applicable HP terms and conditions of service provided or indicated to Customer at the time of purchase. 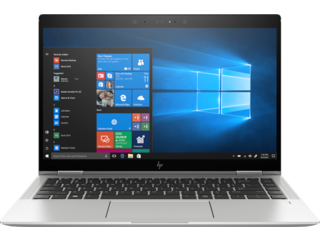 Customer may have additional statutory rights according to applicable local laws, and such rights are not in any way affected by the HP terms and conditions of service or the HP Limited Warranty provided with your HP Product. 40 EPEAT® registered where applicable. EPEAT registration varies by country. See http://www.epeat.net for registration status by country. Search keyword generator on HP’s 3rd party option store for solar generator accessories at www.hp.com/go/options. 41 External power supplies, power cords, cables and peripherals are not Low Halogen. Service parts obtained after purchase may not be Low Halogen. 42 Gigabit class 4G LTE module is optional and must be configured at the factory. Module designed for up to 1 Gbps download speeds as carriers deploy 5 carrier aggregation and 100Mhz channel bandwidth, requires activation and separately purchased service contract. Backwards compatible to HSPA 3G technologies. Check with service provider for coverage and availability in your area. Connection, upload and download speeds will vary due to network, location, environment, network conditions, and other factors. 4G LTE not available on all products, in all regions. 43 Windows 10 MM14 battery life will vary depending on various factors including product model, configuration, loaded applications, features, use, wireless functionality, and power management settings. The maximum capacity of the battery will naturally decrease with time and usage. See www.bapco.com for additional details. 44 Gigabit class 4G LTE module planned to be available in Paraguay, US, India, Ukraine and Canada in November 2018 and South Africa in January 2019. Rest of world availability at launch. 45 HP Drive Lock is not supported on NVMe™ drives. 24 HP BIOSphere Gen4 features may vary depending on the PC platform and configurations requires 8th Gen Intel® processors. 25 Secure Erase for the methods outlined in the National Institute of Standards and Technology Special Publication 800-88 "Clear" sanitation method. 26 Absolute agent is shipped turned off, and will be activated when customers activate a purchased subscription. Subscriptions can be purchased for terms ranging multiple years. Service is limited, check with Absolute for availability outside the U.S. The Absolute Recovery Guarantee is a limited warranty. Certain conditions apply. For full details visit: http://www.absolute.com/company/legal/agreements/ computrace-agreement. Data Delete is an optional service provided by Absolute Software. If utilized, the Recovery Guarantee is null and void. In order to use the Data Delete service, customers must first sign a Pre-Authorization Agreement and either obtain a PIN or purchase one or more RSA SecurID tokens from Absolute Software. 27 HP Client Security Manager Gen4 requires Windows and Intel® or AMD 8th generation processors. 28 HP Password Manager requires Internet Explorer or Chrome or FireFox. Some websites and applications may not be supported. User may need to enable or allow the add-on / extension in the internet browser. 29 HP Fingerprint Sensor sold separately or as an optional feature. 30 Windows Defender Opt in and internet connection required for updates. 31 Secure Erase for the methods outlined in the National Institute of Standards and Technology Special Publication 800-88 "Clear" sanitation method. 32 RAID configuration is optional and does require a second hard drive. 33 HP Sure Click is available on most HP PCs and supports Microsoft® Internet Explorer and Chromium™. Supported attachments include Microsoft Office (Word, Excel, PowerPoint) and PDF files in read only mode, when Microsoft Office or Adobe Acrobat are installed. 34 HP Sure Start Gen4 is available on HP Elite and HP Pro 600 products equipped with 8th generation Intel® or AMD processors. 45 HP Drive Lock is not supported on NVMe™ drives. 1 Not all features are available in all editions or versions of Windows. Systems may require upgraded and/or separately purchased hardware, drivers and/or software to take full advantage of Windows functionality. Windows 10 is automatically updated, which is always enabled. ISP fees may apply and additional requirements may apply over time for updates. See http://www.windows.com. 2 Sold separately or as an optional feature. 3 HP Sure Start Gen4 is available on HP Elite products equipped with Intel® 8th generation processors. 4 HP Sure Run is available on HP Elite PCs equipped with Intel® or AMD 8th generation processors. 5 HP Sure Recover with Embedded Reimaging is an optional feature that must be configured at purchase and is available on select HP Elite PCs. Not available on platforms with multiple internal storage drives or Intel® Optane™. You must back up important files, data, photos, videos, etc. before use to avoid loss of data. 6 HP Sure View integrated privacy screen is an optional feature that must be configured at purchase and is designed to function in landscape orientation. 7 Gigabit class 4G LTE module is optional and must be configured at the factory. Module designed for up to 1 Gbps download speeds as carriers deploy 5 carrier aggregation and 100Mhz channel bandwidth, requires activation and separately purchased service contract. Backwards compatible to HSPA 3G technologies. Check with service provider for coverage and availability in your area. Connection, upload and download speeds will vary due to network, location, environment, network conditions, and other factors. 4G LTE not available on all products, in all regions. 1 Not all features are available in all editions or versions of Windows. Systems may require upgraded and/or separately purchased hardware, drivers, software or BIOS update to take full advantage of Windows functionality. Windows 10 is automatically updated, which is always enabled. ISP fees may apply and additional requirements may apply over time for updates. See http://www.windows.com/. 2 Some devices for academic use will automatically be updated to Windows 10 Pro Education with the Windows 10 Anniversary Update. Features vary; see https://aka.ms/ProEducation for Windows 10 Pro Education feature information. 3 Multicore is designed to improve performance of certain software products. Not all customers or software applications will necessarily benefit from use of this technology. Performance and clock frequency will vary depending on application workload and your hardware and software configurations. Intel’s numbering, branding and/or naming is not a measurement of higher performance. 4 Processor speed denotes maximum performance mode; processors will run at lower speeds in battery optimization mode. 5 Intel® Turbo Boost performance varies depending on hardware, software and overall system configuration. See www.intel.com/technology/turboboost for more information. 6 NOTE: In accordance with Microsoft’s support policy, HP does not support the Windows 8 or Windows 7 operating system on products configured with Intel and AMD 7th generation and forward processors or provide any Windows 8 or Windows 7 drivers on http://www.support.hp.com. 7 Due to the non-industry standard nature of some third-party memory modules, we recommend HP branded memory to ensure compatibility. If you mix memory speeds, the system will perform at the lower memory speed. 8 For storage drives, GB = 1 billion bytes. TB = 1 trillion bytes. Actual formatted capacity is less. Up to 30 GB (for Windows 10) is reserved for system recovery software. 9 Sold separately or as an optional feature. 10 Wireless access point and Internet service required and sold separately. Availability of public wireless access points limited. The specifications for the 802.11ac WLAN are draft specifications and are not final. If the final specifications differ from the draft specifications, it may affect the ability of the notebook to communicate with other 802.11ac WLAN devices. 11 WWAN module is optional, must be configured at the factory and requires separately purchased service contract. Check with service provider for coverage and availability in your area. Connection speeds will vary due to location, environment, network conditions, and other factors. 4G LTE not available on all products, in all regions. 12 Miracast is a wireless technology your PC can use to project your screen to TVs, projectors, and streaming. 13 HD content required to view HD images. 14 Internet access required. 15 Resolutions are dependent upon monitor capability, and resolution and color depth settings. 16 HP Sure View integrated privacy screen is an optional feature that must be configured at purchase and functions in landscape orientation. 17 Miracast is a wireless technology your PC can use to project your screen to TVs, projectors, and streaming. 18 HP ePrint Driver requires an Internet connection to HP web-enabled printer and HP ePrint account registration (for a list of eligible printers, supported documents and image types and other HP ePrint details, see www.hp.com/go/eprintcenter). Print times and connection speeds may vary. 19 HP Support Assistant requires Windows and Internet access. 20 HP PhoneWise Client may not be available with HP Workwise. For supported platforms and HP PhoneWise system requirements see www.hp.com/go/HPPhoneWise. 21 HP Driver Packs not preinstalled, however available for download at http://www.hp.com/go/clientmanagement. 22 HP Manageability Integration Kit can be downloaded from http://www.hp.com/go/clientmanagement. 23 Ivanti Management Suite subscription required. 24 HP BIOSphere Gen4 features may vary depending on the PC platform and configurations requires 8th Gen Intel® processors. 25 Secure Erase for the methods outlined in the National Institute of Standards and Technology Special Publication 800-88 "Clear" sanitation method. 26 Absolute agent is shipped turned off, and will be activated when customers activate a purchased subscription. Subscriptions can be purchased for terms ranging multiple years. Service is limited, check with Absolute for availability outside the U.S. The Absolute Recovery Guarantee is a limited warranty. Certain conditions apply. For full details visit: http://www.absolute.com/company/legal/agreements/ computrace-agreement. Data Delete is an optional service provided by Absolute Software. If utilized, the Recovery Guarantee is null and void. In order to use the Data Delete service, customers must first sign a Pre-Authorization Agreement and either obtain a PIN or purchase one or more RSA SecurID tokens from Absolute Software. 27 HP Client Security Manager Gen4 requires Windows and Intel® or AMD 8th generation processors. 28 HP Password Manager requires Internet Explorer or Chrome or FireFox. Some websites and applications may not be supported. User may need to enable or allow the add-on / extension in the internet browser. 29 HP Fingerprint Sensor sold separately or as an optional feature. 30 Windows Defender Opt in and internet connection required for updates. 31 Secure Erase for the methods outlined in the National Institute of Standards and Technology Special Publication 800-88 "Clear" sanitation method. 32 RAID configuration is optional and does require a second hard drive. 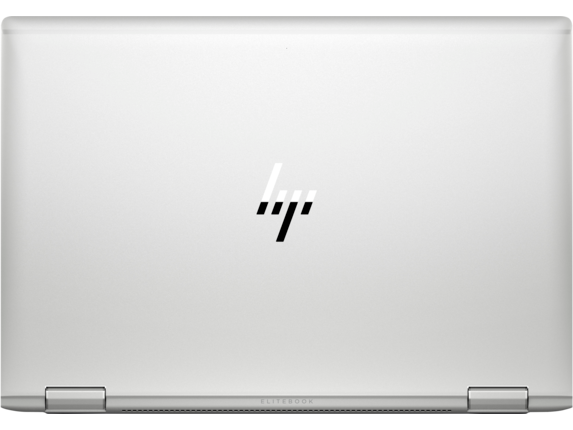 33 HP Sure Click is available on most HP PCs and supports Microsoft® Internet Explorer and Chromium™. Supported attachments include Microsoft Office (Word, Excel, PowerPoint) and PDF files in read only mode, when Microsoft Office or Adobe Acrobat are installed. 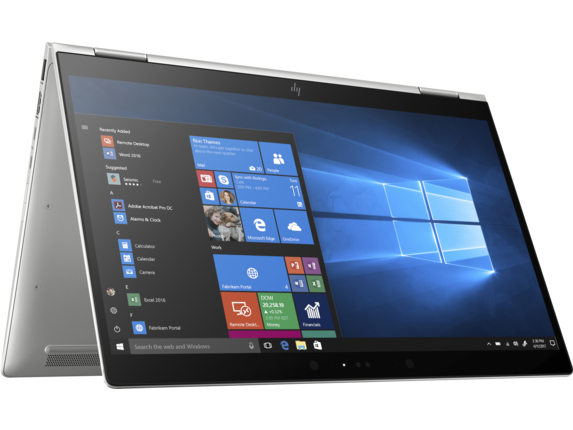 34 HP Sure Start Gen4 is available on HP Elite and HP Pro 600 products equipped with 8th generation Intel® or AMD processors. 35 Battery is internal and not replaceable by customer. Serviceable by warranty. 36 Recharges the battery up to 50% within 30 minutes when the system is off or in standby mode. Power adapter with a minimum capacity of 65 watts is required. After charging has reached 50% capacity, charging will return to normal. Charging time may vary +/-10% due to System tolerance. 37 Availability may vary by country. 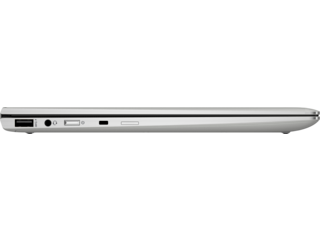 38 Recharges the battery up to 50% within 30 minutes when the system is off or in standby mode. Power adapter with a minimum capacity of 65 watts is required. After charging has reached 50% capacity, charging will return to normal. Charging time may vary +/-10% due to System tolerance. 39 HP Care Packs are sold separately. Service levels and response times for HP Care Packs may vary depending on your geographic location. Service starts on date of hardware purchase. Restrictions and limitations apply. For details, visit www.hp.com/go/cpc. HP services are governed by the applicable HP terms and conditions of service provided or indicated to Customer at the time of purchase. Customer may have additional statutory rights according to applicable local laws, and such rights are not in any way affected by the HP terms and conditions of service or the HP Limited Warranty provided with your HP Product. 40 EPEAT® registered where applicable. EPEAT registration varies by country. See http://www.epeat.net for registration status by country. Search keyword generator on HP’s 3rd party option store for solar generator accessories at www.hp.com/go/options. 41 External power supplies, power cords, cables and peripherals are not Low Halogen. Service parts obtained after purchase may not be Low Halogen. 42 Gigabit class 4G LTE module is optional and must be configured at the factory. Module designed for up to 1 Gbps download speeds as carriers deploy 5 carrier aggregation and 100Mhz channel bandwidth, requires activation and separately purchased service contract. Backwards compatible to HSPA 3G technologies. Check with service provider for coverage and availability in your area. Connection, upload and download speeds will vary due to network, location, environment, network conditions, and other factors. 4G LTE not available on all products, in all regions. 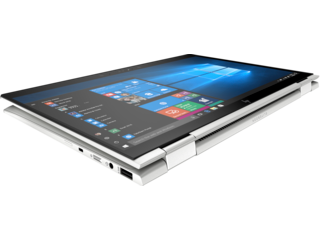 43 Windows 10 MM14 battery life will vary depending on various factors including product model, configuration, loaded applications, features, use, wireless functionality, and power management settings. The maximum capacity of the battery will naturally decrease with time and usage. See www.bapco.com for additional details. 44 Gigabit class 4G LTE module planned to be available in Paraguay, US, India, Ukraine and Canada in November 2018 and South Africa in January 2019. Rest of world availability at launch. 45 HP Drive Lock is not supported on NVMe™ drives. 24 HP BIOSphere Gen4 features may vary depending on the PC platform and configurations requires 8th Gen Intel® processors.